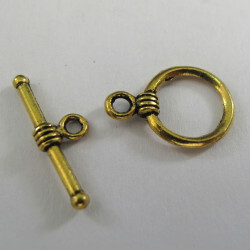 Gold colour Toggle Clasps There are 6 products. 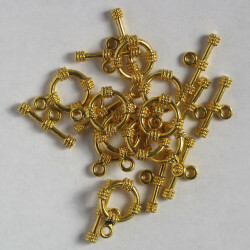 Gold Coloured, Toggle Clasps, Embossed with Rope effect. 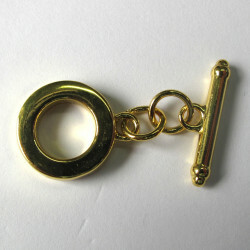 Stylish, Rectangular, Wavey Toggle, Gold Coloured, Rectangle Approx. 17 mm by 11 mm, Bar Approx. 25 mm. 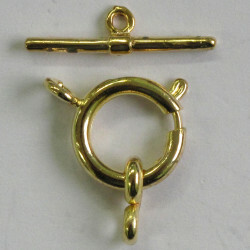 Inter-changeable Pendant, Toggle Clasp, Gold Coloured, Ring Apprx. 14 mm Diameter, Bar Approx. 24 mm. 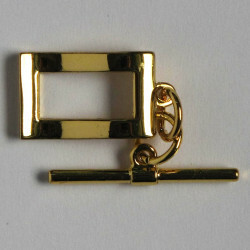 Fancy floral toggle clasp, gold coloured. 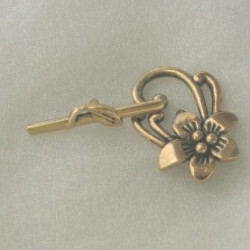 Fancy Floral Toggle Clasp, Gold Coloured, Approx. 30 mm by 25 mm, Bar Approx. 30 mm, Pack of 4.